From Rte. 56 in Lower Yoder, turn onto J St. heading south. Turn right onto Edgewood Ave. The cemetery will be at the end of Edgewood Ave. across from Kaiser St. near the intersection of Kaiser St. & Dillon Park Lane. It appears old and closed. 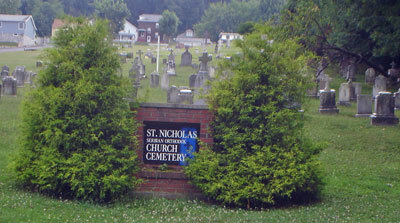 The sign is identical to another cemetery in Middle Taylor Township.